Internationally-acclaimed Jewish feminist artist Helène Aylon presents her conclusion to “The G-d Project: Nine Houses Without Women,” her 20-year series highlighting the dismissal of women in Jewish traditions and text. In “Afterword: For the Children,” Aylon dedicates her finale in the series to the future generations, challenging all who regard The Ten Commandments not to shrug off a dark foreboding which emanates in her view, from the patriarchy – not from God. The text of the Second Commandment holds future generations responsible for the sins of their fathers. The artist’s examination of this text reveals a universal dilemma through its connection to contemporary policies and practices that shape the world our children will inherit. The concept of “Tikkun Olam” (correction of the world) holds significance in Aylon’s immersive digital installation, as her continuous attempt at “repairing” the revered text becomes a quiet yet assertive protest. 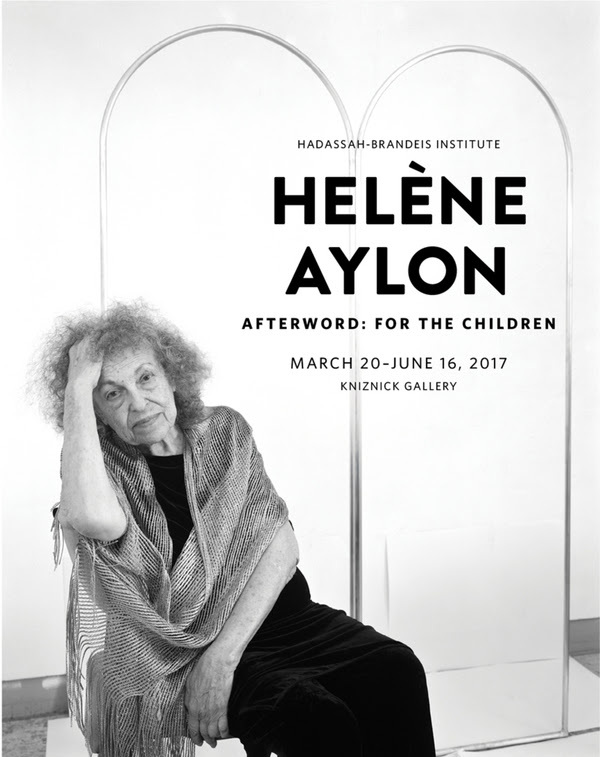 Aylon’s exhibition “Afterword: For the Children” will travel to the Jerusalem Biennale 2017 opening on October 1st, 2017.